Made to fit all cars, vans & trucks, regardless of make or model, features include 2 x LCD pagers, Remote Engine Start / Car Warming (for those cold winter mornings), Car Finder, Remote Boot Release, Full Central Locking Control via key fob remote control and Anti-Hijacking via random code generation from over 1 million codes. Professional installation recommended. 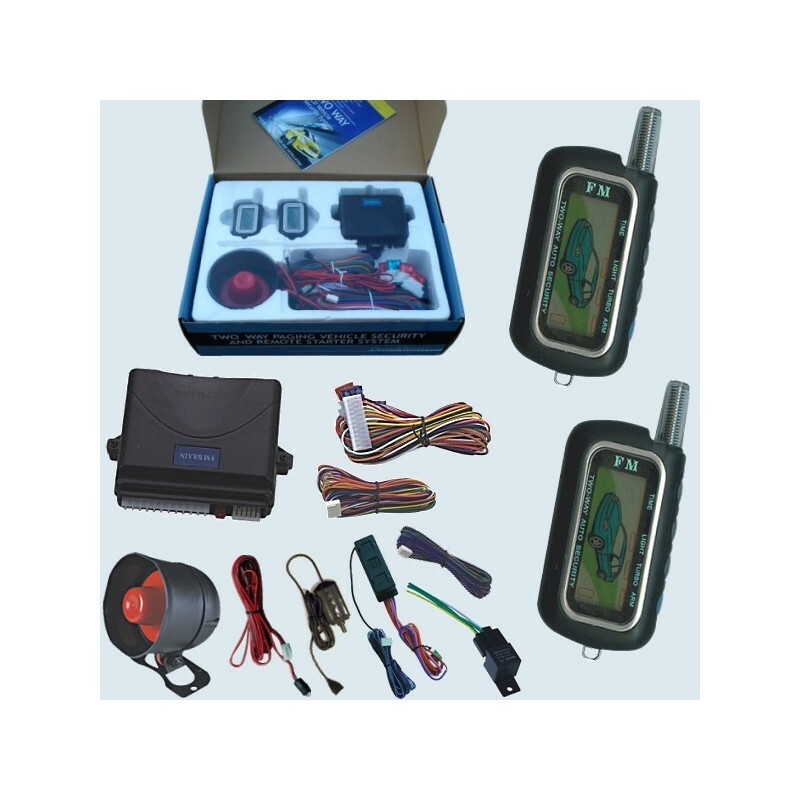 This Alarm is a top end system that comes with many features and includes everything you need to alarm you car and will protect it using immobiliser, latest two stage shock sensor, Anti Hijacking, Voltage drop sensor, panic system and 120db siren. Ultra-long FSK Communication Range (two-way Range Over 1000m (3000ft)): for unlocking, locking and paging will alert you if anyone is messing with your car. Visual And Audio Alert On Remote: key fob will sound and also flash if there is a problem with the car. Car/alarm Status LCD Display On Remote: LCD Remote will display the status of your car at anytime. 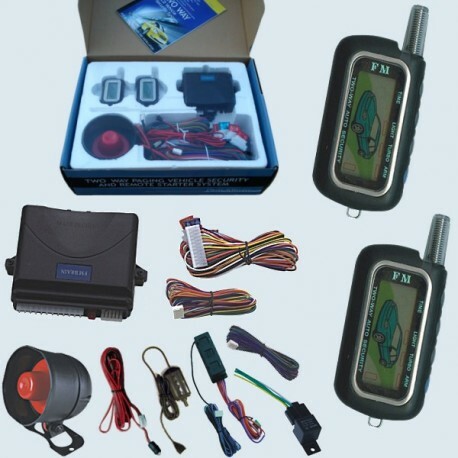 Anti-car jacking System: to prevent anyone taking your car this system will stop them. 14 Multiple User-programmable Features: so you can set it exactly as you want it to work. Valet Mode: For when you are cleaning your car. Remote Start Timer Mode: This is where you can select an amount of time for the car to warm up for or from. Long Range Remote Start With Gear Position Checking for Safety: The remote start function is included as an optional feature and can start your car for you in the morning so it is warm before you get to the car. Shock sensors built in the communication unit - adjustable by 3 positions. If your vehicle has a factory fit immobiliser which operates from a chip embedded in the ignition key you will need one of our Transponder Bypass modules in order to use the remote start feature of this alarm.